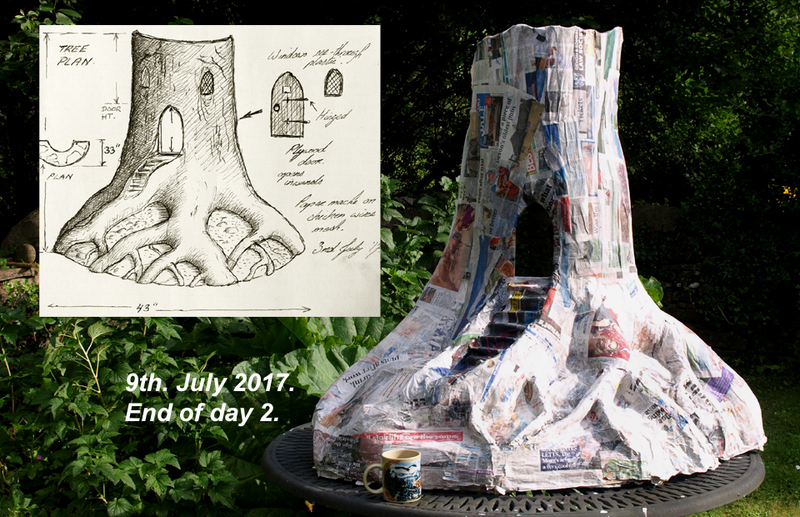 Day 2 of making a Fairy Tree from Paper Mache on a Chicken Wire frame. The framework has about 4 layers of newspaper covering it now. It may need one or two more yet. I have fashioned some crude steps and a door jam to accept a little door. Now it needs to dry thoroughly. Previous postProp Idea – A Fairy Tree. Next postFairy Tree almost completed. Protected: Me and My Days. Fake Tree in Real Woodlands. Photoshoot – Exeter, Devon. 31st. July 2017. Fairy Photoshoot in Exeter – Monday, 31st. July, 2017.